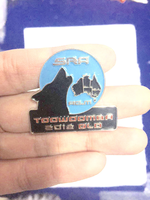 The 2018 SRA Toowoomba QLD badges are now available for purchase. They are $10.00 which includes postage. Please order them from the SRA website stores from Russ Strobel.